Warren Buffett and JPMorgan Chase & Co. (NYSE: JPM) CEO Jamie Dimon have been spending time together in recent days. As they make their rounds with the mainstream media, both were asked by CNBC about their stance on cryptocurrency and which person "hates" Bitcoin more. 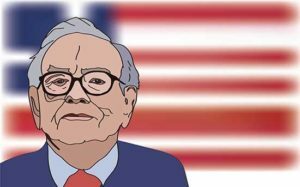 Buffett claimed he set a high standard, which includes a criticism that Bitcoin is "rat poison squared." Dimon, who famously called Bitcoin a "fraud" in 2017, took a more guarded approach. "I don't want to be a Bitcoin spokesman, you know," Dimon said. JPM recently acknowledged in an SEC filing that Bitcoin and cryptocurrencies represented a threat to its business model. From today's prices of $7,677.21, he expects BTC prices could climb to $100,000. The business of stealing cryptocurrency remains extremely lucrative, and it's not going to be slowing down any time soon. According to cybersecurity firm Carbon Black, roughly $1.1 billion in crypto has been stolen during the first six months of 2018. A week after Venezuela announced plans to ban cryptocurrency-mining equipment, another nation is on the verge of taking a similar step. Vietnam's Ministry of Finance has issued a proposal that would curb mining across the country. The proposal comes in the wake of a massive, $660 million crypto fraud scheme that affected 32,000 investors. The government has said it is too "difficult to regulate" the cryptocurrency and payment industry, and it has chosen to tackle the mining process as a starting point. Bloomberg reports that controversial Bitmain CEO Jihan Wu is preparing what could be a massive initial public offering. Wu's company is a major player in the global cryptocurrency-mining industry. The firm controls up to 80% of the international market for application-specific integrated circuit (ASIC) mining devices. Wu believes that his firm is worth roughly $12 billion, while other analysts have pegged the figure closer to $8.8 billion. You see, while Wall Street and Fortune 500 companies continue to badmouth Bitcoin, they're diving headfirst into this craze… and we'd bet not one in 10,000 people know the reason behind it.